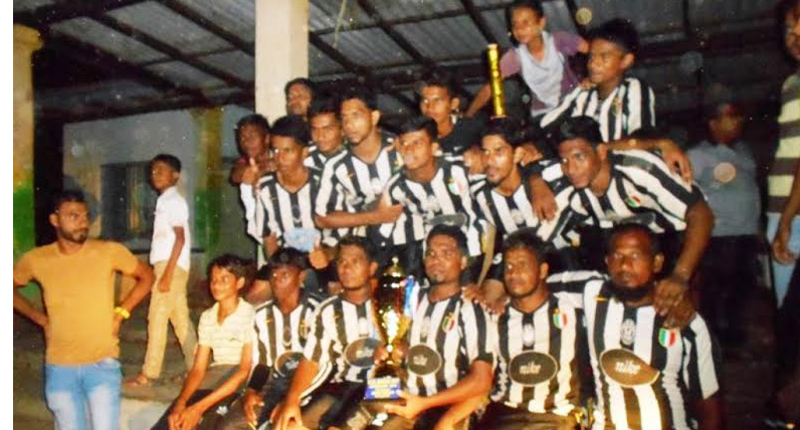 The Saunders Sports Club, Kattankudy became champions of the Soccer Tournament organized by the Kattankudy Football League when they beat the defending champions Sun Rise Sports Club, Kattankudy 4-3 after a penalty shoot out in the finals played at Kattankudy Central College Play Grounds recently. The competition was held in a active and enthusiastic manner. This tournament organized by Kattankudy Football League. Altogether10 teams took part in the tournament. They were awarded a victory shield. Final match was held under the patronage of Kattankudy Football League President C.M.M.Sameem. Sun Rise SC President M.Ramees and Kattankudy Football League Officials were all participated on this occasion.